Want to stay someplace that has a unique and local flavor? Wish to experience the lap of luxury? 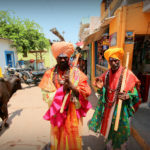 Want to discover the local culture in a village? Want to stay like a beach bum in guest houses? 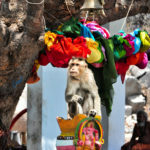 Or just want to know about the best budget options in Hampi? Read on for our top 10 recommendations for all types of travelers. Running a tour company, we know all the options available intimately. Moreover we get constant feedback from our customers on properties they have used. 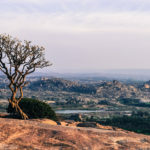 This puts us in an unique position to be able to review and recommend the best places in Hampi for varying interests and needs of travelers. NOTE : The prices given on this post are subject to change. For the latest prices offered, please click on the 'Read More' option for the hotel of your interest. Beautifully designed, Hampi Boulders is an ‘eco-wilderness’ resort set in a leafy gardens on the banks of the Tungabhadra river. Engage in nature walks, swim in their chlorine free swimming pool and eat organic food. If you want to spend your time in seclusion of wilderness, then this place is perfect for you. There is a choice of themed rooms and chic cottages with elegant furnishings, river views and outdoor showers. Suitable For: Nature lovers, romantic couples, artists, discerning travelers. 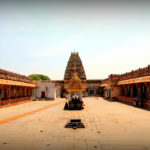 If you plan to spend of most of your time in Hampi exploring the site and want a standard, reliable and comfortable accommodation to rest then this is your option. The best part of this hotel is its location, a 5 minute auto ride and you'll be inside the core zone of Hampi. The hotel does not have open spaces, so if you want to spend more time in the property there aren't many common spaces. But the price and location (close to the site) more than make up for it. Shanthi guest house is located on the crowded Virupapura Gaddi. There are several budget accommodation options on this stretch frequented by backpackers. 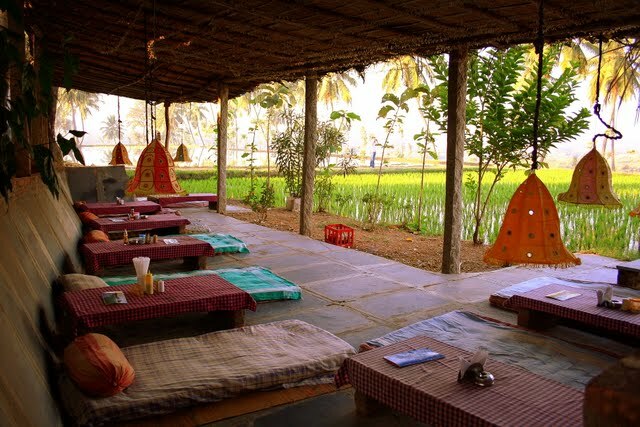 Shanthi stands out amongst the others for its unique location overlooking paddy fields and the river at distance. 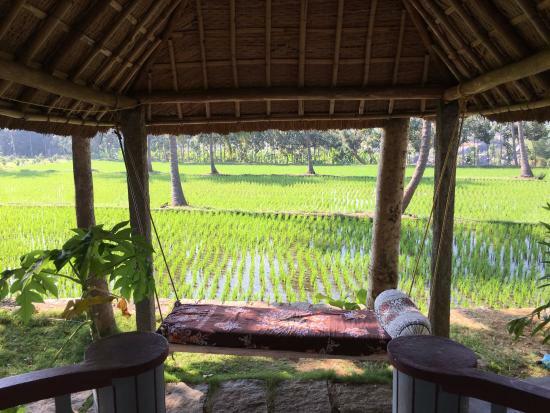 There is a choice of rooms with paddy view and garden view. Rooms are basic and do not have air-conditioning. 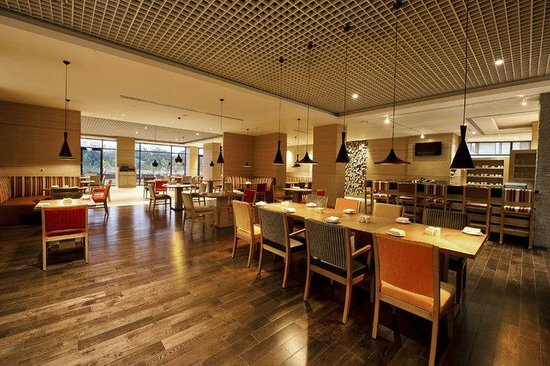 The in-house restaurant is alright, you can simply walkover to other restaurants in the neighborhood for more choice. 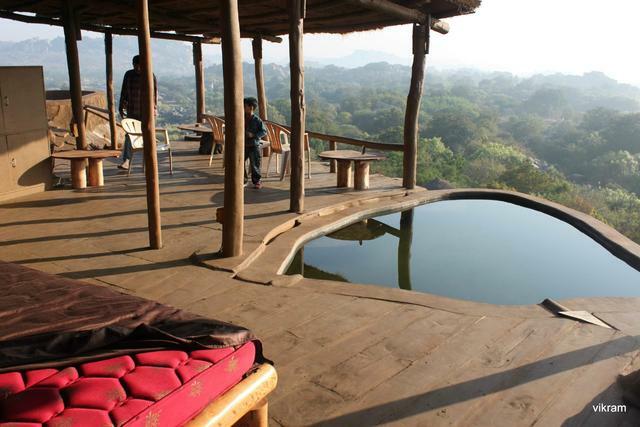 Price: INR 1,650 per night. Suitable For: Nature lovers, budget travelers, bouldering. This recently opened luxury resort is inspired by the indo-islamic architecture of Vijayanagara empire. World class amenities include infinity pools, private Jacuzzi, library, restaurants and SPA. The service and food is the absolutely best it can be. If you'd like an immersive experience of Hampi in lap of world class luxury then this is your choice. Mowgli guest house is located on the crowded Virupapura Gaddi. 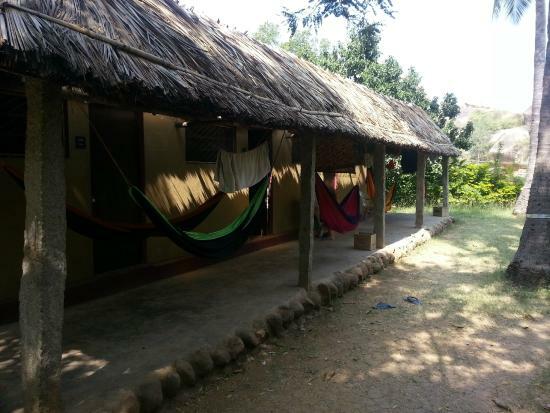 There are several budget accommodation options on this stretch frequented by backpackers. Shanthi stands out amongst the others for its unique location overlooking paddy fields and the river at distance. There is a choice of rooms with paddy view, river view and garden view. Rooms are basic and do not have air-conditioning. The in-house restaurant is good and serves the best woodfired over pizzas! 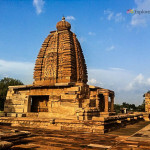 Another simple option with great location to explore the various sites in Hampi. 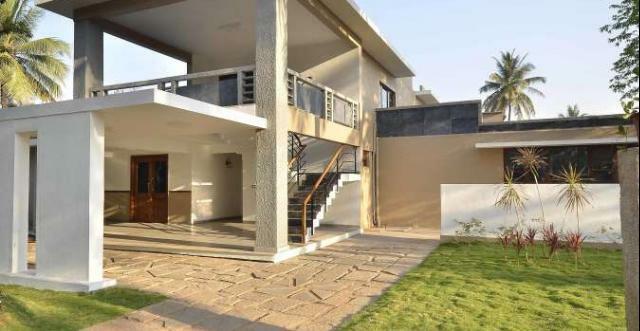 The property is walking distance from the core zone of Hampi which a big advantage. There is a lot of greenery in and around the property which makes it suitable for families with kids. 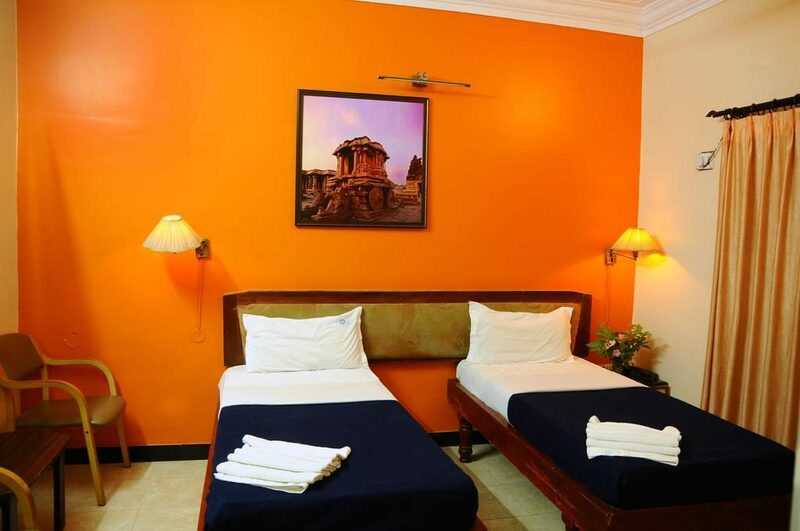 There are three categories of rooms, all of them come with air-conditioning. This is the only place that serves Beers in Kamalapur and Hampi. It lacks a bit on the service side but the pricing and location make up for it. Price: INR 2050 per night onwards. Founded in 1998 by Thakur and Sharmila the Goan Corner is a travellers and climbers paradise. It was one of the first guest houses in this stretch. They have a great in-house restaurant and a stunning location. If you are into bouldering then you have to make this your base. You can easily team up with other travellers and plan your climbing. Suitable For: Budget travelers, bouldering. One of the most popular choices among families is the Heritage Resort. The hotel has three categories of Villa/cottage style accommodation. The property is set in a spacious mango and coconut plantation. Reliable and good quality accommodation for families and groups. 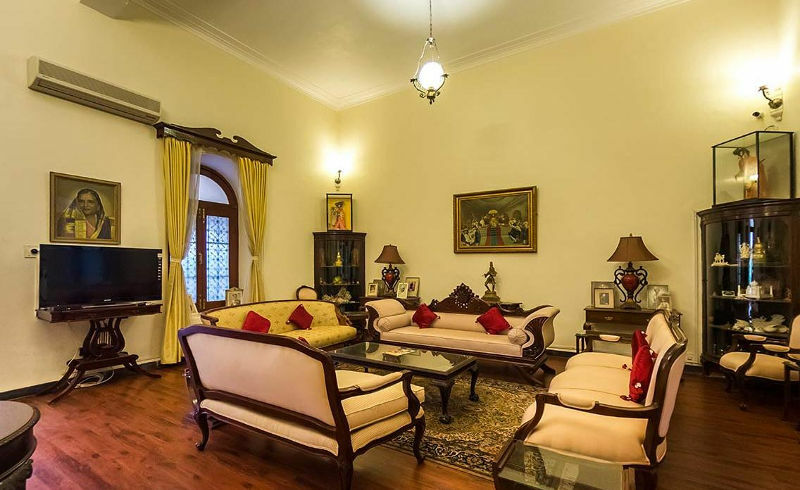 Price: INR 7500 per night onwards. Royal Orchid Central Kireeti, is a premium 4 Star Hotel in Hospet. The hotel is belongs to a popular chain of hotels known for its standard hospitality and service. Located in the heart of the Hostpet town it is just 500 meters away from Hospet Railway Station and 12 kms from Hampi Center. Price: INR 5000 per night onwards (including breakfast). 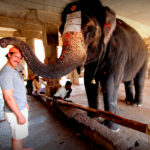 We have curated specialised private tours to showcase the best and offbeat side of Hampi. 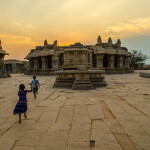 Different aspects of Hampi are explored on these private tours such as History, Architecture, Mythology, Wildlife, Adventure, Village life, Rural livelihoods, Food, Music and Art forms of the region. With these curated itineraries all you have to do is come to Hampi, we take care of the rest. Your accommodation, travel and tours are all integrated into one seamless experience. © 2017 Copyright Explore Hampi. All rights reserved.